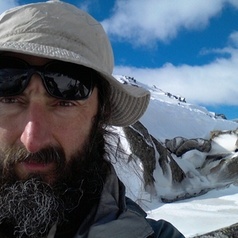 Don Driscoll is Professor of terrestrial ecology at Deakin University in the Centre for Integrative Ecology and School of Life and Environmental Sciences. He has over 20 years of research experience in the field of wildlife dispersal, habitat loss and fragmentation. Don completed his PhD at the University of Western Australia where he studied the dispersal, population genetics and biology of threatened frogs. Since then he has studied plants, birds, beetles and reptiles in fragmented agricultural landscapes in NSW, the ACT and SA, and in naturally patchy landscapes in SW Tasmania. His research interests are broad, including work on fire ecology, ecology of frog diseases, and invasive pasture species.